Through the Conquistador Historical Foundation, the Hernando de Soto Historical Society is able to support various local charities, offer college scholarships, fund a cultural museum in downtown Bradenton, and maintain a Sister City relationship with Barcarrota, Spain. With its membership including many local civic, governmental and business leaders, the Society serves in a variety of community-oriented roles. 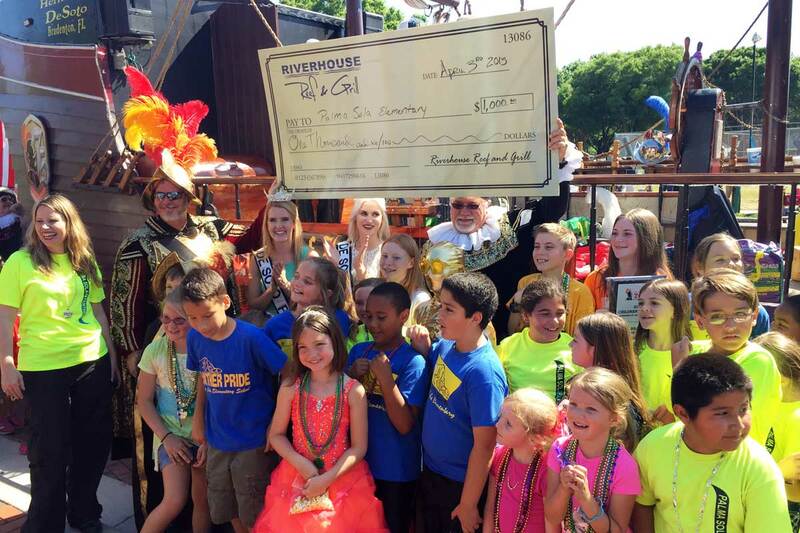 The Conquistador Historical Foundation distributes grants to local community charities, particularly those with youth educational programming initiatives. 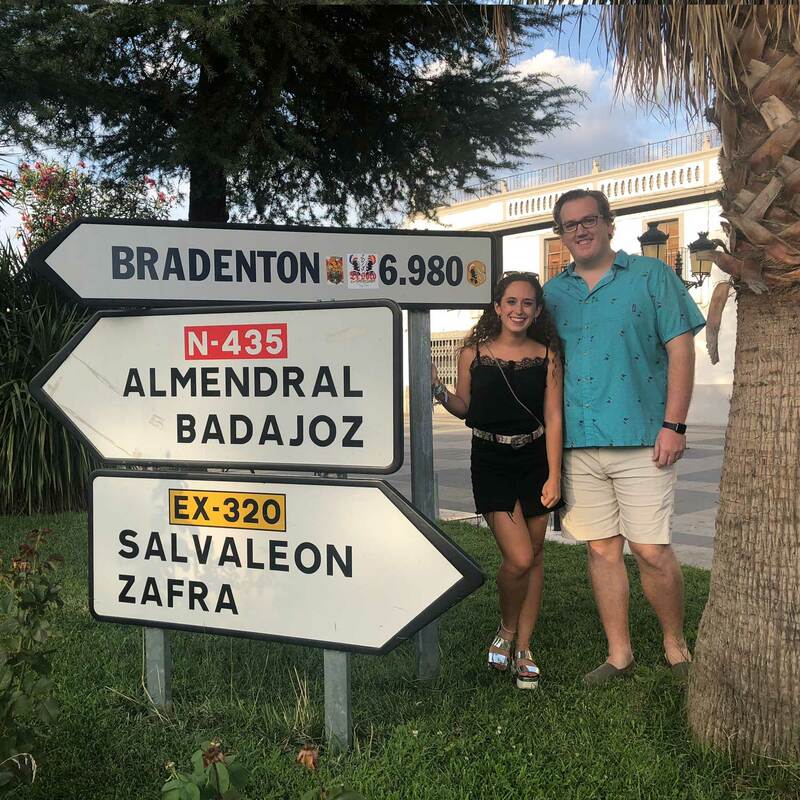 Through a generous donation by De Soto member Art Engelhardt, we maintain an annual student exchange program with Barcarrota, Spain (Bradenton’s Sister City). We offer college scholarships to our De Soto Queen & Princess as well as the 10 young ladies, ages 18-24, who annually serve on the De Soto Queen's Court. 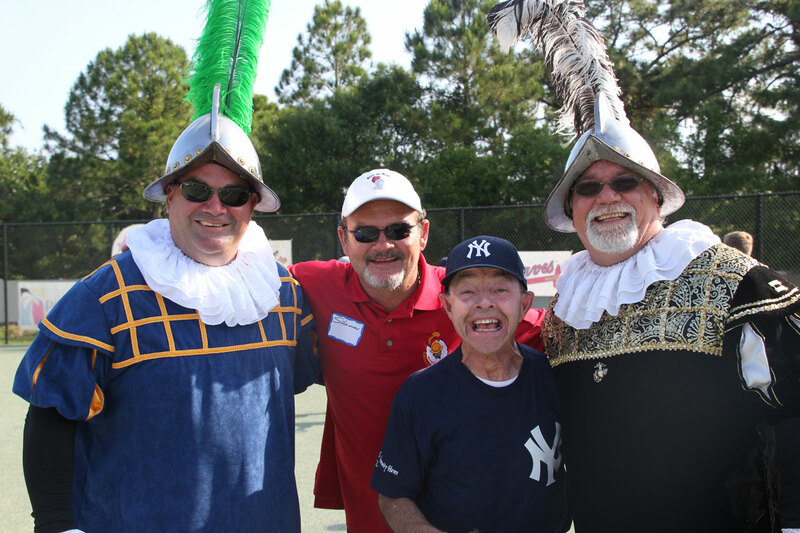 It was great to see the Crewe at our Miracle League of Manasota baseball game on Saturday. My son enjoyed going on the ship and getting his picture taken with the Royalty. As a long-time Bradenton dude, it’s great to have the Crewe of De Soto active in our special needs community (Buddy Walk and the Miracle League). It is appreciated. The members of the Hernando de Soto Historical Society maintain close ties with Bradenton’s Sister City – Barcarrota, Spain. For almost four decades, delegates from Barcarrota have traveled to Bradenton each year to take part in the annual Festival, and vice versa. Each year, a Bradenton resident is selected to journey to Spain for the summer (usually about 10 weeks). This individual becomes immersed in the Spanish culture and comes back home with a new appreciation of our cities’ relationship. Later in the year, a Barcarrota student travels to Bradenton to learn about our culture here in America. 2018-2019 Ambassador, Trey Horne, recently returned from his 86 day trip to Barcarrota. On his blog, he writes, “I have never felt so at home while being more than 4,000 miles away from home. I truly believe that every member of the Hernando de Soto Historical Society should make the trip to Barcarrota once, I know it won’t be their first and last visit to Barcarrota because the people of Barcarrota are absolutely amazing! Opportunities are available to support the Hernando de Soto Historical Society's mission through sponsorship and advertising. 6404 Manatee Ave. W. Suite G.